AA Execute Search was established in the year 1993, by the founder director, Mr. M. A. Siddiquie. Mr. Siddiquie had done his graduation in science and his post graduation MLS (Masters of Labour Studies) from the University of Mumbai in the year 1979. He worked in various MNC’s and public limited companies and in the year 1993, established SGM Placements along with a group of HR professionals. Before starting the executive search firm, Mr. Siddiquie worked as Vice President HR for a Swiss MNC – ESAB India Ltd. employing 2500 employees. 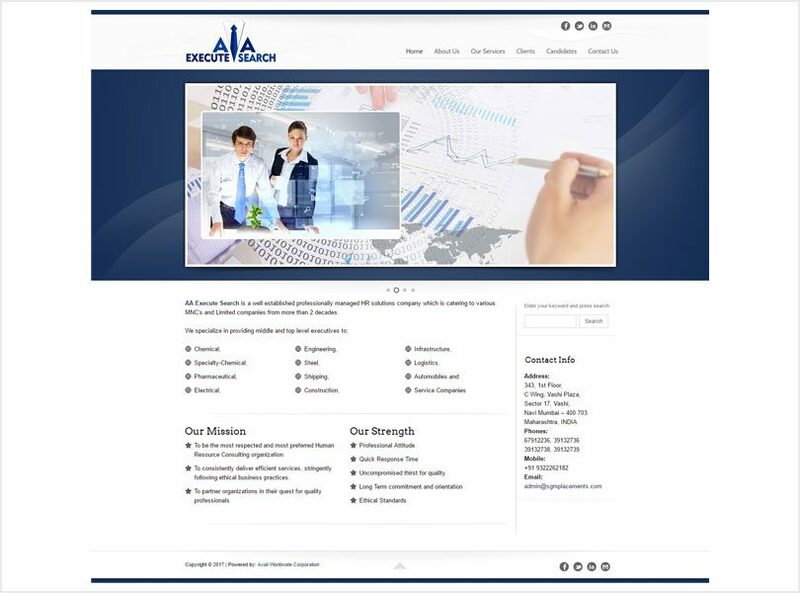 AA Execute Search is a professionally managed executive search firm providing professional assistance in recruitment and executive search to MNC’s and reputed Organizations. We have a division that provides temporary, contract & leasing staffing solutions.